One of the UK's leading female astronomers is to donate her £2.3m winnings from a major science prize she was awarded. The sum will go to fund women, under-represented ethnic minority and refugee students to become physics researchers. Anybody but a white male. A creeping police state never ceases. Absolutely.. We are the lowest on the social food Chain yet bring the most in.. It's a dangerous game for them jn my opinion. Such a shame. She is basically funding certain sexes or ethnic groups over others. It seems like a noble thing to give the money away, but I think in this case she would have done society more of a service by just keeping it in her own pocket. See....it's the patriarchy I tells ya'. 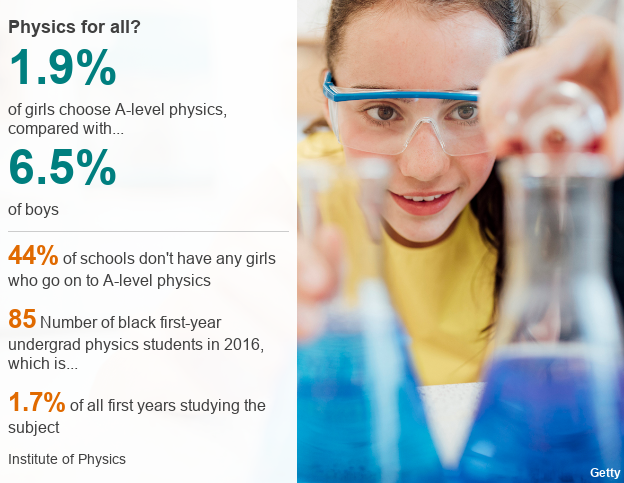 Only 1.9% of girls 'choose' to go into physics - err....so that's their choice then!! The rest of the stats point in the same direction. Nobody is stopping anyone. The women and the black first year undergrads named in this example choose to do other courses themselves. Physics and Dying at work......It'll be a cold day in hell before I start allowing wommenz's access to my 2 little departments in Patriarchy Ltd !!!!!! Not for over a week, no. Her money, her choice.....unless the competition was rigged. Outside of the occasional brilliant Indian boy, she is just throwing her money away. That hormone bath we are all born into sends women other directions. She will regret not saving it for a liposuction.